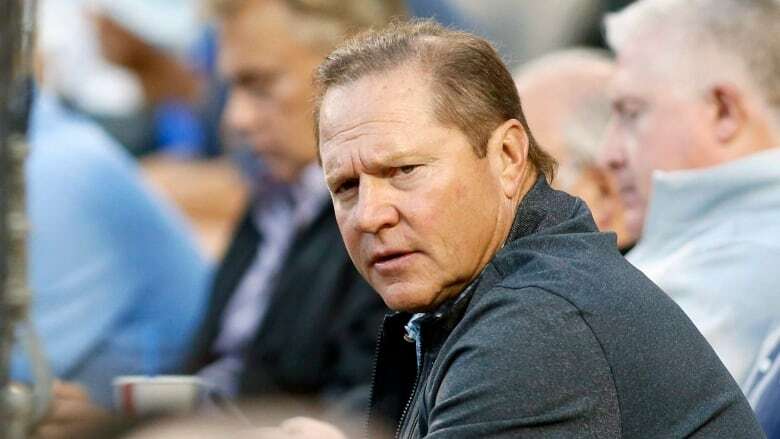 Famed agent Scott Boras criticized the Toronto Blue Jays at the MLB general managers' meetings Wednesday, blaming the team's roster construction for its significant dip in attendance this season. Boras told reporters in his annual media session that Toronto is suffering from "the Blue Flu" that has resulted in a decline in fan attendance at games. "Toronto is a wonderful city, it's been a great franchise, they've drawn three million fans," Boras said. "They've lost near a third of their fan base due to the 'Blue Flu' of not bringing attractive players that their fans find interesting to their market." The Blue Jays, who finished the season fourth in the AL East with a 73-89 record, had a total attendance of 2,325,281 in 2018, down 878,605 from the year before. Boras, who represents three Blue Jays players — right-hander Aaron Sanchez, shorstop Troy Tulowitzki and outfielder Billy McKinney — also took aim at the Miami Marlins. Miami had an average attendance of 10,014 per game and saw their attendance drop 771,910 last season. The Toronto Blue Jays have hired a new bench coach, naming Dave Hudgens to the position on Wednesday. DeMarlo Hale previously served as Toronto's bench coach from 2013-2018. Hudgens, 61, spent the last four seasons with the Houston Astros as the team's hitting coach, where he won a World Series Championship in 2017. He was the hitting coach for the New York Mets (2011 to 2014) and the Oakland Athletics (1999, 2003 to 2005) before that. "Dave Hudgens brings an exceptional coaching background to our organization, including a wealth of experience and the ability to combine his baseball knowledge with a forward-thinking approach to help our team," said Blue Jays GM Ross Atkins. "He's a consummate learner and teacher at heart and he comes highly recommended by his peers." Hudgens began his coaching career in 1985 when he managed rookie-level Pocatello in the Pioneer League. He also managed within Oakland's system before joining Houston as a roving hitting instructor from 1989 to 1995. Hudgens returned to Oakland for the next 10 seasons in a variety of roles, then joined the Cleveland Indians as the field coordinator from 2006 to 2010. New manager Charlie Montoyo, who replaces John Gibbons, said in his introductory press conference last week that putting a coaching staff in place would be his first order of business. Toronto fired hitting coach Brock Jacoby and first base coach Tim Leiper on Saturday.